Nearly one in five (19 percent or 4.5 million) teens has tried prescription medication to get high Every day, 2500 kids age 12 to 17 try a painkiller for the first time. The vast majority of teens abusing prescription drugs are getting them from the medicine cabinets of friends, family, and acquaintances. It has been shown that most teens and young adults who use prescription opiates begin their use by experimenting with pills found in medicine cabinets at home. Because these drugs are so readily available, and many teens believe they are a safe way to get high, teens who wouldn’t otherwise touch illicit drugs might abuse prescription drugs- and not many parents are talking to them about it. Drug treatment admissions for prescription painkillers increased more than 300 percent from 1995 to 2005. Opioid analgesic ER visits increased 117% over the last decade, and the death rate surpassed that of heroin and cocaine This behavior cuts across geographic, racial, ethnic and socioeconomic boundaries. Prescription drug abuse has exceeded use of illicit narcotics in parts of Europe, Africa, and South Asia. 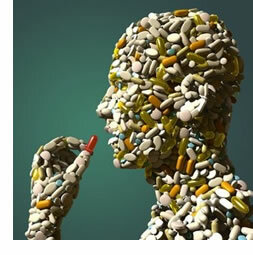 2.3 million kids age 12 to 17 abused prescription drugs in 2003. Teens abuse prescription drugs more than any illicit street drug except marijuana. Prescription drugs are the drugs of choice for 12 and 13 year olds 1 in 5 teens say they have taken a prescription drug without having a prescription for it themselves 60% of teens who have abused prescription painkillers did so before age 15. There are as many new abusers age 12 to 17 of prescription drugs as there are of marijuana Two in five teens (40 percent or 9.4 million) agree that Rx medicines, even if they are not prescribed by a doctor, are “much safer” to use than illegal drugs. Nearly one-third of teens (31 percent or 7.3 million) believe there’s “nothing wrong” with using Rx medicines without a prescription “once in a while”. Nearly three out of 10 teens (29 percent or 6.8 million) believe prescription pain relievers – even if not prescribed by a doctor – are not addictive.